The Grand Prix Attack is one of White’s most aggressive ways of fighting the Sicilian. It leads to a sharp, complex battle in which White often launches a direct attack against the black king. The opening has become a powerful weapon in the cut and thrust of tournament chess, where victory is everything and draws are not enough. It has even gained the seal of approval from elite players such as Vishy Anand and Nigel Short, who have both utilized it with success. 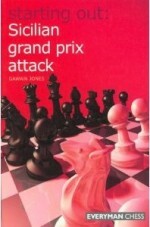 In this book Gawain Jones, one of the world’ leading experts on the Grand Prix Attack, provides everything you need to know about this opening. Using illustrative games and drawing upon his own wealth of experience, he introduces the key moves and ideas for both sides, taking care to explain the reasoning behind them – something that has often been neglected or taken for granted. The Everyman Chess Starting Out series has firmly established itself as the leading guide to studying openings for up-and-coming players. These books are distinguished by their easy-to-read layout, the lucid explanations of the fundamentals, and the abundance of notes, tips and warnings to help the reader absorb vital ideas. Are you tired of playing the same old openings time and time again? Perhaps it’s time for a change, but you cannot decide between the numerous options available? Here’s the answer: choose Dangerous Weapons and amaze your opponents with new and exciting opening ideas! In this book, four renowned opening experts get together to take a revolutionary look at the Benoni, the Benko and all their associated variations. Instead of travelling down well-trodden and analysed paths, they concentrate on fresh or little-explored variations, selecting a wealth of ‘dangerous’ options for both colours. Whether playing White or Black, a study of this book will leave you confident and fully-armed, and your opponents running for cover! Dangerous Weapons is a series of opening books which supply the reader with an abundance of hard-hitting ideas to revitalize his or her opening repertoire. Many of the carefully chosen weapons are innovative, visually shocking, incredibly tricky, or have been unfairly discarded; they are guaranteed to throw even your most experienced opponent off balance. 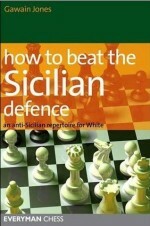 The Sicilian Defence is by far the most popular chess opening. If you play 1 e4 as White, on average you are likely to meet the Sicilian in virtually every other game! You need to be prepared to face the Sicilian at all times, and a ready-to-use repertoire against it is an indispensible weapon. In this book, Gawain Jones confronts the challenge of meeting the Sicilian head on. He has constructed a comprehensive Anti-Sicilian repertoire for White, which is based on lines he has successfully employed at grandmaster level. These are sound, reliable options for White, but don’t be fooled – they also contain more than a drop of poison. Variations covered include the popular King’s Indian Attack, various Bb5 systems and weapons against Black’s offbeat tries.